The U.S. Department of Transportation has appointed 24 leaders from EMS, healthcare and other stakeholder communities to serve on the National EMS Advisory Council (NEMSAC). 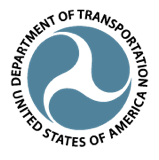 Chosen from more than 100 nominations, members of the council will provide advice and recommendations to both the Department of Transportation and the Federal Interagency Committee on EMS. Among the members of the council are 11 new members and 13 returning from the previous term. Each member was chosen to serve a two-year term representing a specific sector of the EMS community. The appointments reflect the addition of a member representing EMS quality improvement professionals. The next meeting of NEMSAC is expected to be held later this year. The meeting will be open to the public and details will be released as soon as it is scheduled. To learn more about NEMSAC and to sign up to receive email updates, visit EMS.gov. Since its creation in 2007, NEMSAC has played a key role in enhancing communication between EMS providers and the agencies collaborating on EMS at the Federal level. Its recommendations helped shape the strategic plan adopted by the Federal Interagency Committee on EMS (FICEMS) and have paved the way for several critical efforts to improve local EMS systems and the quality of EMS care delivered across the nation.